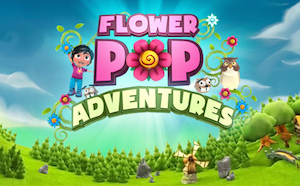 Prepare to Enjoy Your Flowerpop Adventures! Prepare for the stunning new point-and-shoot puzzle game, Flowerpop Adventures, which launches to the App Store soon on September 11. The game’s developers previously helped make games including Call of Duty, Rainbow Six, and Candy Crush Saga. In Flowerpop Adventures, aim your cannon and shoot flowers to achieve colorful combos! Then use your earnings in the Dream Machine, a magic contraption containing loads of special powers, prizes and costumes! See the stunning trailer for this incredibly addictive game now.